If you’re a proud pool owner or thinking about installing one, then you know how important it is to maintain it. It’s just as crucial, however, to practice a few key safety habits if you have children. Kids are vulnerable to dangerous situations, and the presence of open water can pose a threat. 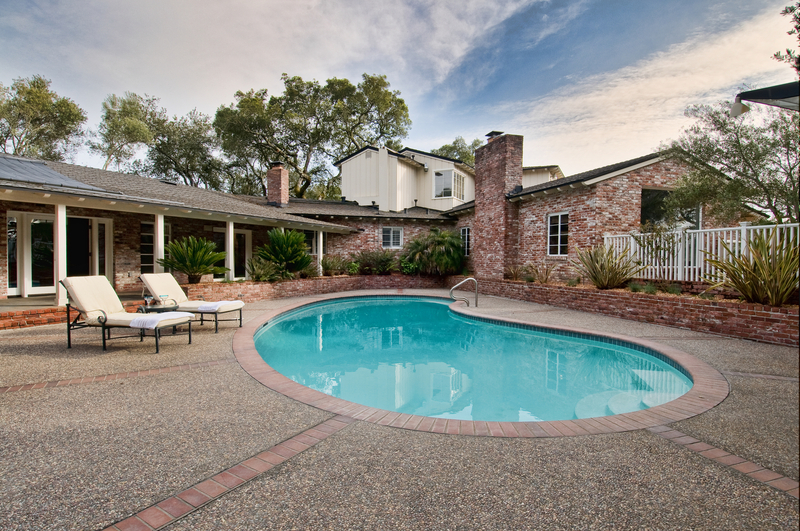 Here are a few ways to safeguard your in-ground pool. Lighting is key to an enjoyable experience if you’re swimming in your in-ground pool at night. It also happens to be an excellent safety addition that can make all of the difference to your kids’ safety. Adding low-profile lights to the landscape is perfect for brightening the surroundings, including pathways leading to the pool. Floodlights are ideal for illuminating the entire area. You might also consider underwater lights, which add a little additional brightness to your in-ground pool and make nighttime swimming possible. In addition to scheduling regular maintenance with contractors, you also need to take precautionary steps to protect the pool on a daily basis. The first key is to create a barrier, such as a gate, between the pool and outside elements, so kids can’t enter if there’s no one monitoring them. You can also install an alarm, which is designed to alert you if the gate opens. If you don’t plan to use the pool for a while or it cools down outside, place a cover over it to prevent anyone from falling. Chemicals are vital to the health of your in-ground pool, but they’re harmful to humans and pets. Curious kids may wish to take a look, so it’s best to keep them out of reach, preferably on a high shelf in a cool, dark room so that they can’t spill anywhere. Avoid storing them in the garage, where they might be too easy to access. The experts at The Pool Guys know all there is to know about in-ground pools. Whether you’re interested in basic maintenance or want to hire a skilled contractor to install a new pool in your Troy, MO, home, you can trust them to handle the job. They’ve served the area for more than 30 years and can handle the entire scope of the process, from the initial pool design to final installation. Visit their website to learn more about their services, or call (636) 462-7665 today to schedule an installation.